Katmai Logistics, LLC, has been in business since April, 1997, is a full service licensed transportation brokerage company with over 30 years of experience. Katmai Logistics, LLC can provide you service for the (48) contiguous states and most of Canada. We currently have contracts with major trucking companies enabling us to provide you with the necessary service that you require. 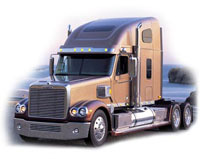 Katmai Logistics, LLC offers high quality transportation services including heavy hauling, maxi flatbed and other specialty shipping services. We are confident that your company will be impressed with the excellent service provided by Katmai Logistics, LLC. Katmai Logistics, LLC contracts exclusively with financially stable carriers, who must demonstrate a continued commitment to maintaining our standards for exemplary service and safety. All of our carriers have a satisfactory D.O.T. rating and must maintain the current required levels of public liability and cargo insurance coverage. We maintain files on each one of our carriers along with insurance coverage. Please feel free to contact us with any further questions that you may have. 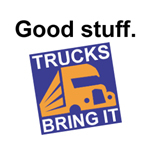 We look forward to being able to assist you in your transportation needs or be an addition to your logistics team. Excellent payment practice and credit history, allow our company the privileges of GOLD BOOK status through COMPUNET. This service network monitors the transportation business to assure customers and carrier of proper financial dealings.